The most brutal Granada I've ever seen! someone got the engine/gearbox spec? i have seen a few video's from this car, its fast, very fast. Very clean and tidy to. What back axle arrangement does it have? Yea, this car is a monster!! The back axle setup is basically a standard Granada beam and trailing arms. The diff is a US 9" Ford, converted to IRS. Custom made drive shafts and stub axles. 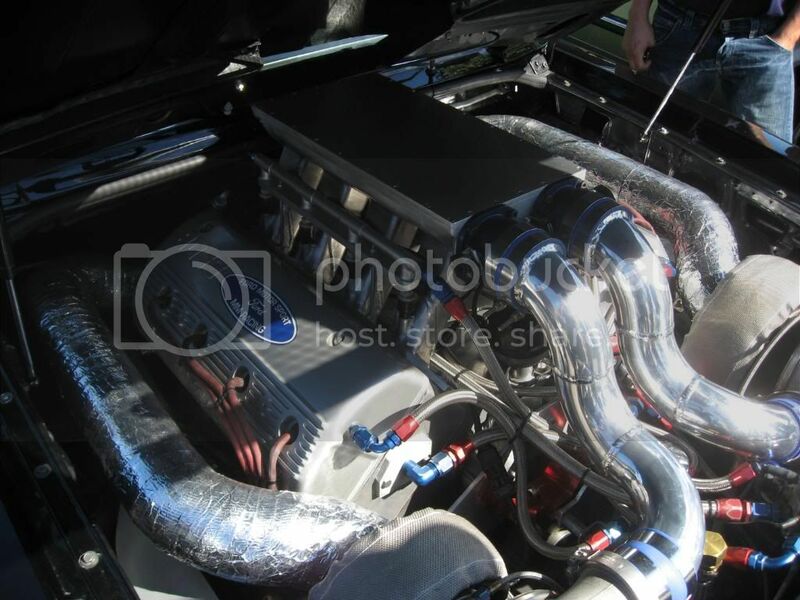 The picture show a previous setup with rear mounted turbos. The engine is all aluminum, quoted weight is "just" 250kg. I don't expect it to be a lot more nose heavy than a Granada Perana. i got a feeling this engine wasn't cheap to build. if i see it right he is using a aluminum aftermarked block whit sohc heads. It's a Ford Motorsport all aluminium 700 cui. Now slightly overbored. Originally it was set up with twin quad carbs and Noz, but was converted to run on pump gas and had turbos fitted by the current owner. Quoted power ranges from 1700-2400 bhp. I'm not sure, but I think the current power is moderatly set at 1700bhp while the full dragrace setup produced ~2400bhp. I don't know anything about the gearbox. Towards the end of 1991, the Pro Modified class was changing fast and Animal Jim wanted a new hook to keep the match race bookings coming in. He commissioned Jerry Haas to build him a new Thunderbird Super Coupe for Pro Modified. This was to be without a doubt the best engineered and best appearing car Animal Jim had ever had. As a matter of fact, it won both those honors twice in IHRA in '92 and '93. It was powered by a 700" Kaase/Animal Jim engine that he named "Big Boy". It had 2 stages of NOS and was a solid 6.70 car by 1993. He won many races with the infamous "Wunderbird" in USSC and UDRA, and placed well in IHRA points as well. 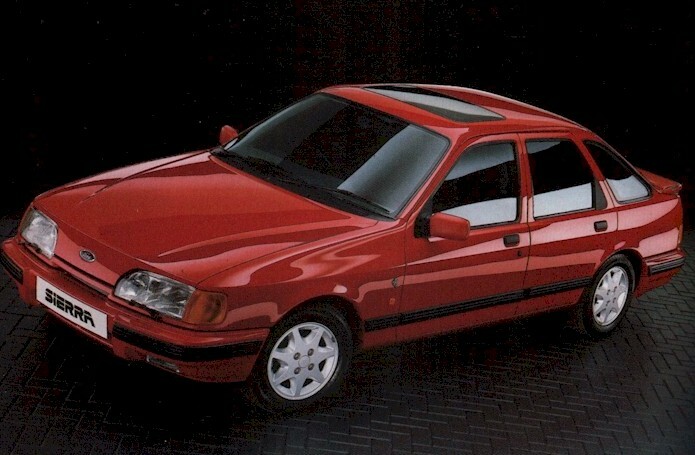 It also was dubbed and billed as the World's Quickest Ford from '92 to '96. In 1993, Animal was honored to be one of Car Craft's Pro Mod "Drivers of the Year" along with Scotty Cannon and Bill Kuhlmann. time to sell the house and everything else and save up some more money just to build such a engine, it will set you back around $100.000 very easy. and the money spending will not stop there. out off reach for me, sadly. maybe i need to buy a lottery ticked and win first.